An efficient hiring process is crucial for companies looking to avoid having empty positions for weeks or even just a few days. A study by the Society of Human Resource Management found that it typically takes between 29 and 43 days to hire a new employee. This is far too much time to have roles go unfilled, especially if you need a rockstar new team member right away to help your company grow. Achieving an efficient hiring process can be as simple as referring back to candidates that you previously connected with and determining their fit for a current job opening. Checking in with previous candidates that left an impression on you will save you the trouble of having to search for completely new talent to connect with and interview extensively. Utilizing video interviewing technology gives hiring managers and recruiters the ability to easily reconnect with previous candidates and save time. Perhaps a candidate impressed you in their initial interview with your company, but ultimately you made the decision to hire someone else. Video interviews, particularly a one-way interview, can help you to quickly connect with that candidate again to assess their personality and skills for a different role. In a one-way video interview, candidates answer pre-set questions from hiring or recruiting professionals and are given the option of re-recording if needed. This interview can serve as a sort of refresher to help re-familiarize you with the candidate. If a candidate’s responses or behavior in the one-way interview aren’t what you are looking for, no significant amount of time or resources were wasted as would have been the case had you invited them to your office. If you’d like to reconnect with a candidate in real-time, but are unable or prefer not to have them come to your office, a live video interview is a great option. 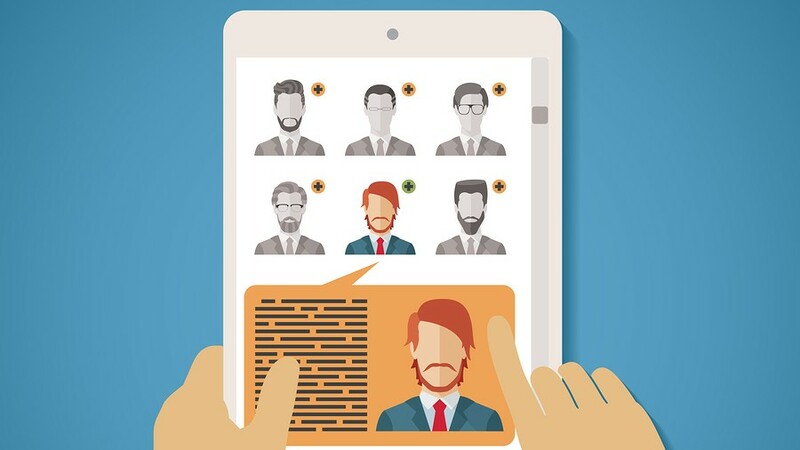 You can meet virtually with the candidate from wherever you are via webcam (or mobile device, depending on the video interviewing provider) and reevaluate the candidate’s personality and verbal skills. Furthermore, implementing video interviews into your company’s talent acquisition strategy may be something you want to consider to enhance the hiring process for the long-run. Most video interviewing platforms are cloud-based and enable companies to access their candidates’ completed interviews whenever needed. Having this digital library of talent means that you will already have top talent to take into consideration when you have more open positions in the future. Download your copy of our whitepaper, “Tips for Streamlining Your Hiring Process & Maximizing Time With Video Interviewing”, for more strategies to help you make faster and smarter hiring decisions.